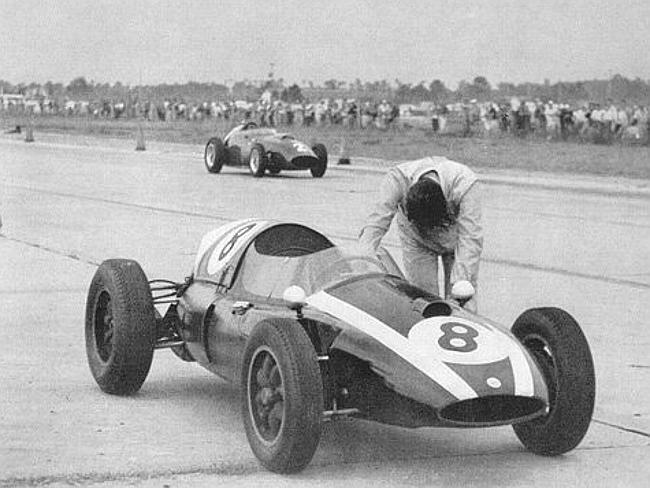 The famous image of Sir Jack Brabham pushing his Cooper Climax race car across the finish line at Sebring in 1959 to seal the deal on his first Formula One title may tell more about the legendary racer than our humble words ever could. A guy so talented to be leading the race for most of its duration and so driven to succeed that he would literally push the car up to the finish to ensure that he’d have the Formula one crown, it is an amazing summation of an 88 year life that seems impossible to summarize. 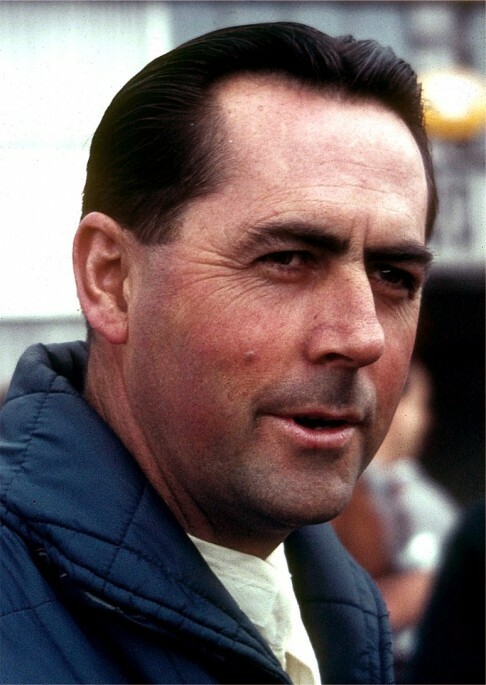 Jack Brabham won his Formula One titles in 1959, 1960, and 1966. He raced well into the 1970s and not only lived through the deadliest days of Grand Prix racing history, he thrived during them. He also advanced the sport in a technological sense with his Brabham chassis which carried him to the 1966 title. That 1966 championship is made all the more amazing due to the fact it is the only one ever awarded to a driver operating a car that shared the same name. Many (us included) are of the opinion that it will never happen again. Not too bad for a guy who started racing on dirt tracks on his off time from being an Australian Air Force mechanic. It was the dirt tracks where Brabham first learned to race and where he first tasted success. Utilizing the dirt track driving style, Brabham was a very aggressive competitor and certainly put his cars to the test. Being sideways, braking late, and never fearing big speeds, Jack Brabham was both very gutsy and very smart. His mechanical knowledge, combined with his raw driving skill meant that he knew how hard to push the car and where issues may arise. Driving Coopers for most of his career, Brabham was intimately familiar with those cars when he decided to open his own racing outfit in 1962 with partner (and fellow Aussie) Ron Tauranac. Brabham race cars were not hits right off the bat but by the time Jack got back in the seat in 1966 after team driver Dan Gurney decided to open his own operation. Brabham tapped Australian firm Repco to develop a three liter V8 engine that was based off of the 215ci Olds engine. While not as powerful as many of the other engines in the field the lightweight car combined with the lightweight engine made for a formidable runner. During that 1966 season, Brabham won four races in a row and guaranteed himself a championship at the “ripe old age” of 40. The fact that he survived all of the races and years that he did in Formula One when so many of his fellow competitors died is another amazing thing to consider about his life. In ’66 he became the first man to ever win a race and then a title with a car that carried his own name on the chassis tag. Brabham also rocked the racing world when he entered a modified version of his rear engine F1 car into the Indy 500 in the middle 1960s and while he didn’t win, he broke the ice for everyone else and laid claim to being the first guy to run a rear engine car around the Brickyard in the 500. Brabham won the first race of the 1970 Formula One season and that would be his last F1 victory behind the wheel. The years from 1970 on were spent developing race cars and racing engines along with operating the Brabham Formula One team. His son Geoff Brabham rose to fame as a successful racer in his own right and Jack was the first post-war racer to be knighted, which happened in 1978. We could go on for days about Jack Brabham and his accomplishments on the race track and off of it after he retired to engineering and developmental work. We love the guy’s story because he was a real, true, diehard gearhead that refused to bow to the pressures of the racing world and pursued his own ideas, which were the best ideas of his era. From dirt tracks to Formula One, Jack Brabham was a racer’s racer and as hard and serious a runner as the racing world has ever known. He lived the lives of five men in 88 years and will be missed by many. R.I.P Jack , you were a bloody legend mate! A few years ago I had the privelage of seeing Jack at the Classic Adelaide, a tarmac rally through the hills of Adelaide. He was, I believe in a Bentley Continental in the wet and he was NOT holding back – driving a lot faster than lots of the competitive entries. This was only a few years ago so he would have been early to mid 80’s – probably driving a lot faster than I’d ever be game to on some of those roads…godspeed, brother..
Indded. One of my hero car guys growing up. Godspeed, Jack!